Myron Ebell is a climate change denier who was named as a member of President-elect Donald Trump"s transition team for the Environmental Protection Agency in November 2016. 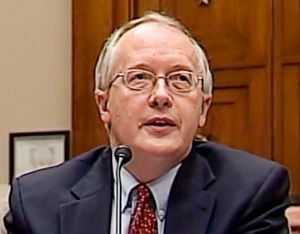 Ebell Educates State Attorney Generals About Climate Denial: In 2016, the Center for Media and Democracy, publisher of Sourcewatch, obtained audio from an private, undisclosed meeting with the Republican Attorneys General Association (RAGA) where Ebell spewed climate denial to Republican AG's and urged them to continue pushing back against the climate fraud investigations. "Well the first thing they try to do is try to change reality. They try to change the facts. So they reinterpret the data so the United States climate temperature data, as reinterpreted by the federal government, they make the 1930’s and 40’s much cooler and that makes it look like there’s been a significant warming but in fact there has not," Ebell told the group of Republican AG's and lobbyists according to a transcript of the audio published by CMD. "So I want to thank Attorney General Strange for writing and getting the signers on that letter, I’m not going to go through everyone who signed it but we are very grateful and I think it had a big impact and I will talk about that later on where we go from here." Ebell's group CEI has been named in ExxonMobil investigation for deceiving the public and misleading its shareholders about the risks of climate change: After the Virgin Islands Attorney General Claude Walker issued CEI with a subpoena in April 2016 as part of the ExxonMobil investigation, CEI ran a full page ad signed by several right-wing think tanks in the New York Times complaining that the groups were being attacked in state investigations into Exxon's campaign of climate denial. And since then, CEI has spoken out at numerous conferences and in opinion editorials pushing back at the investigations. CEI told Townhall that they were determined that Walker “faces sanctions” for the subpoena. “This was an abuse of process, plain and simple, and we’re determined to see that Walker faces sanctions for an action whose illegality he refuses to recognize,” CEI stated. Ebell's Group CEI has received millions in fossil fuel funding: In 2013, the Washington Post revealed Murray Energy, Marathon Petroleum, Devon Energy, Phillips 66, American Coalition for Clean Coal Electricity and the American Fuel and Petrochemical Manufacturers sponsored an annual dinner benefiting CEI. Other CEI fossil fuel funding, according to DeSmogBlog, includes ExxonMobil ($2,100,000), Massey Energy, three Koch-controlled foundations and the American Petroleum Institute. CEI’s senior fellow Christopher Horner is also funded directly from the coal industry and serves as regulatory counsel for Alpha Natural Resources. Cooler Heads sponsored premier of climate denial documentary: In 2015, Cooler Heads co-sponsored a premier for the film "Climate Hustle," a global warming denial film featuring Marc Morano. "As I said, we made the decision this morning to do as much as we could to deflect criticism by blaming the EPA for freelancing. It seems to me that the folks at the EPA are the obvious fall guys, and we would only hope that the fall guy (or gal) should be as high up as possible. I have done several interviews and have stressed that the president needs to get everyone rowing in the same direction. Perhaps tomorrow we will call for (Christine Todd Whitman) to be fired. I know that that doesn't sound like much help, but it seems to me that our only leverage to push you in the right direction is to drive a wedge between the President and those in the Administration who think they are serving the president's best interests by publishing this rubbish." In March 2001, the nonprofit Clean Air Trust named Ebell its "clean air villain of the month," citing his "ferocious lobbying charge to persuade President Bush to reverse his campaign pledge to control electric utility emissions of carbon dioxide." Frontiers of Freedom, spreads disinformation on climate change, and received funding from the fossil fuel industry, including ExxonMobil. "We develop policies and then we try to find funding, some policies we find some funding other policies we find very little"
List of Ebell's publications, on the Competitive Enterprise Institute site. "With the Queen in Germany worrying about climate change, will we see any change in George Bush's attitude over the next four years? ", Radio 4, BBC, November 4, 2004. (The relevant section on how Bush's climate change policy is not going to change, and all the climate scientists have it wrong starts at 3:44). 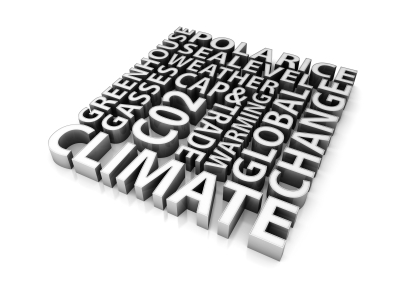 Michael Shnayerson, "A Convenient Untruth: For the obligatory 'opposing view' on climate change, the media often turn to Myron Ebell, policy analyst, sound-bite artist, and oil-industry mouthpiece. While mainstream experts see global warming as a major crisis, the hotter it gets, the better Ebell likes it," Vanity Fair, May 2007. ↑ "Meet Myron Ebell, the Climate Contrarian Leading Trump’s EPA Transition," PBS, accessed November 2016. ↑ "Myron Ebell," Competitive Enterprise Institute website, accessed March 2009. ↑ "Factsheet: Frontiers of Freedom," ExxonSecrets.org, accessed March 2009. ↑ Michael Shnayerson, "A Convenient Untruth: For the obligatory 'opposing view' on climate change, the media often turn to Myron Ebell, policy analyst, sound-bite artist, and oil-industry mouthpiece. While mainstream experts see global warming as a major crisis, the hotter it gets, the better Ebell likes it," Vanity Fair, May 2007. ↑ "GOP Attorneys General Held Private Meetings with Fossil Fuel Lobbyists on Exxon Investigation," ExposedByCMD, accessed November 2016. ↑ 7.0 7.1 "Transcript of RAGA Session on ExxonMobil Investigations," ExposedByCMD, accessed November 2016. ↑ "Competitive Enterprise Institute NYT Ad Signatories Got $10 Million from Exxon," Climate Investigations Center, accessed November 2016. ↑ "Punishing Climate-Change Skeptics," The Wall Street Journal, accessed November 2016. ↑ "New York’s Schneiderman Will Not Be Outsleazed In His Campaign to Get ExxonMobil," Townhall, accessed November 2016. ↑ "Anatomy of a Washington dinner: Who funds the Competitive Enterprise Institute?," Washington Post, accessed November 2016. ↑ "Competitive Enterprise Institute (CEI)," DeSmogBlog, accessed November 2016. ↑ "Lawyer Tormenting Scientists Revealed Working For Coal Company," PRWatch, accessed November 2016. ↑ "FACTSHEET: Frontiers of Freedom Institute and Foundation, FoF," Exxonsecrets.org, accessed November 2016. This page was last edited on 2 November 2017, at 17:26.